Because I bought the book with the intention of applying its contents to my teaching, I was briefly disappointed to find a lot of the poses offered are quite advanced. I teach mostly beginner and multi-level classes and many of these poses I will not have opportunity to teach. But what I have found is that even the most unattainable, pretzel-like poses are based soundly in truth that can be applied to other, more attainable ones. For example Padmasana (lotus pose) is not easily achieved by many yogis but by reading about the lotus growing from Vishnu’s navel opening to reveal the sound of ‘Om’ thus causing the creation of the universe, one can realize it’s not just about the pose. Onward the text reveals the metaphorical significance of the lotus flower and brings it full circle back to the posture as a seat for meditation and ultimately enlightenment by way of the term ‘avidya’ and Patanjali’s yoga sutras. 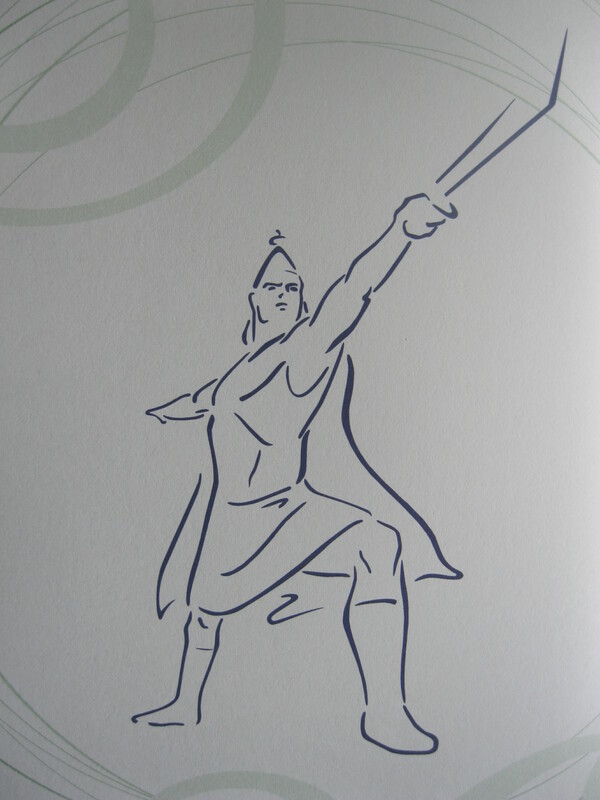 This was just the first pose in the book! Every pose explored by the authors leads the reader from posture, through myth, into metaphor until the deep, profound intention behind the practice is once again revealed. Every pose exposes the potential for transformation of consciousness. Sure, Shiva sent Virabhadra to cut off his father-in-law’s head when his wife Sati appeared to instantaneously combust. But he made it right: he replaced Daksha’s head with a goat’s head…(?) Apparently even god’s make somewhat questionable decisions sometimes. ‘Myths of the Asanas’ offers explanations to many Sanskrit terms I’ve come across in my yoga studies, yet by reading this book I feel they’ve finally sunk in. Terms like abhinivesha, avidya, chitta pranadam, dristhi, guna, guru, isvara pranadana, jivanmukta, karma, lila, maya, nadam, namaste, om, sadhana, sadhu, samasara, Shraddha, siddhis, and yoga nidra (just to name a few) are all introduced and explained seamlessly and effectively. I actually hoped there was a glossary of terms at the end of this book so I could test myself! Coupled with an index, this could be an excellent textbook and a very effective approach to teaching yoga philosophy and history at a teacher training. Kaivalya and Kooij are concise and not effusive in introducing ancient yogic texts from which many of the myths originate or the metaphors are expounded. The Bhagavad Gita, Ramayana, Yoga Sutras, Mahabharata, Hatha Yoga Pradipika, and the Vedas are all contextualized within yoga’s long history. I imagine a reader new to yoga could feel well informed and satiated while gently encouraged to explore these background texts when they feel ready. I was surprised that there wasn’t a bibliography at the book’s end referencing particular translations of these ancient texts. A great translation can make all the difference and obviously a lot of research went into the writing of this book. I’m still contemplating how and when to share the bounty within these pages when I teach. For my beginner students, there is time within class to explain the significance of Anjali mudra, Namaste, ‘Om’ and Savasana as they are consistent parts of a yoga class that might seem inexplicable to those unfamiliar with yoga. The more physically accessible poses such as Balasana (child pose), Tadasana (mountain), Gomukhasana (cow’s face), and Dandasana (staff pose), could allow for some deeper explorations, as they are often held for more than five breaths. I feel strongly that ‘Myths of the Asanas’ could be very valuable to both yoga practitioners and teachers, and all lovers of myth and metaphor. 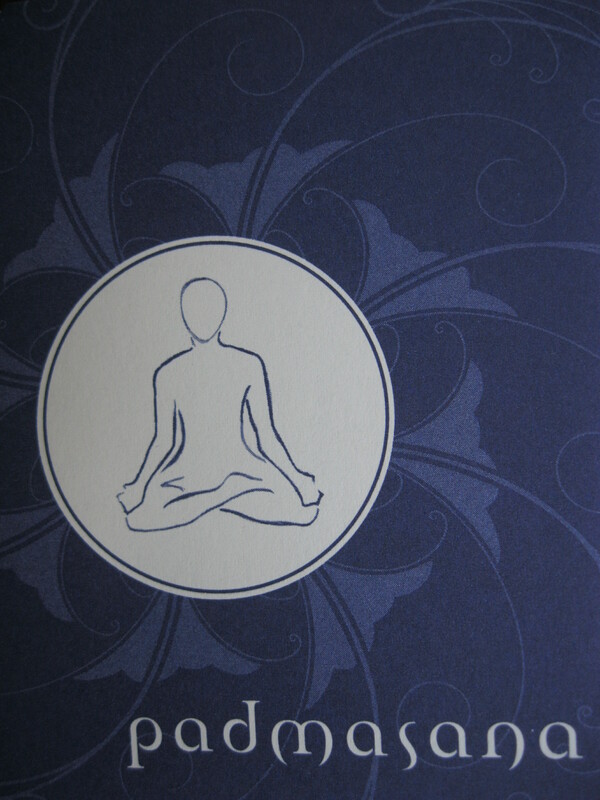 This book acts as an accessible guidebook, graciously offering to lead the reader from the physical realm of asana to the infinite realm of truth. 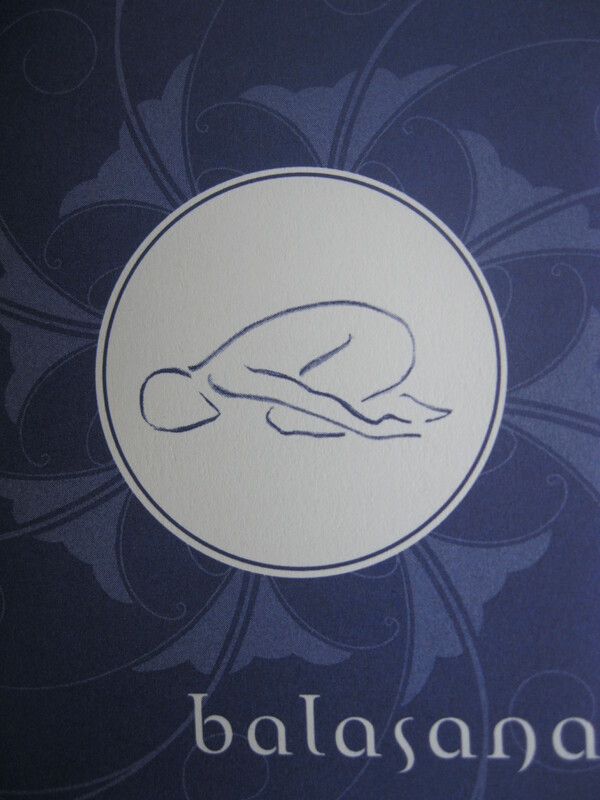 Alanna Kaivalya and Arjuna van der Kooij have created an exceptional and unprecedented contribution to the contemporary study and practice of yoga. 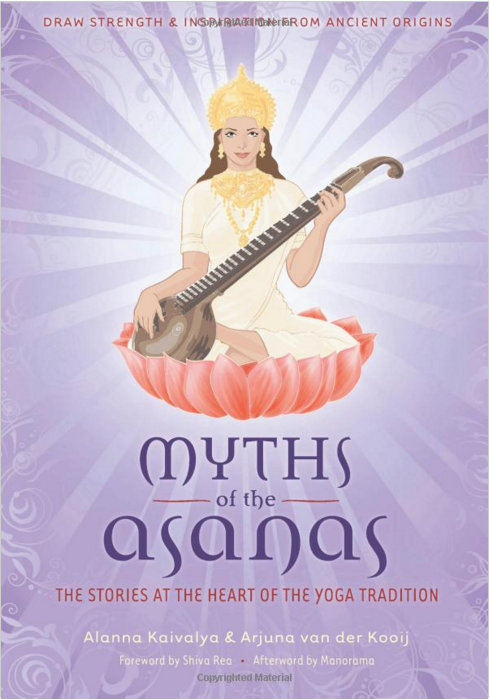 3 thoughts on "Book review: Myths of the Asana"